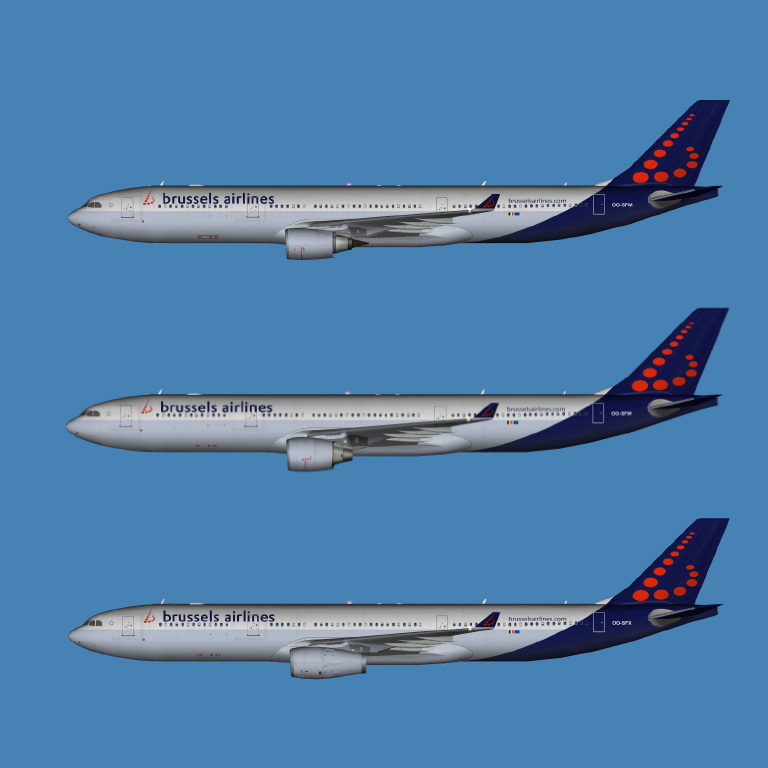 Brussels Airlines Airbus A330-300 FSX for the FSPainter A330-300 GE, PW & RR base model. These are FSX textures only. The FSPainter A330-300 GE, PW & RR base model is required.